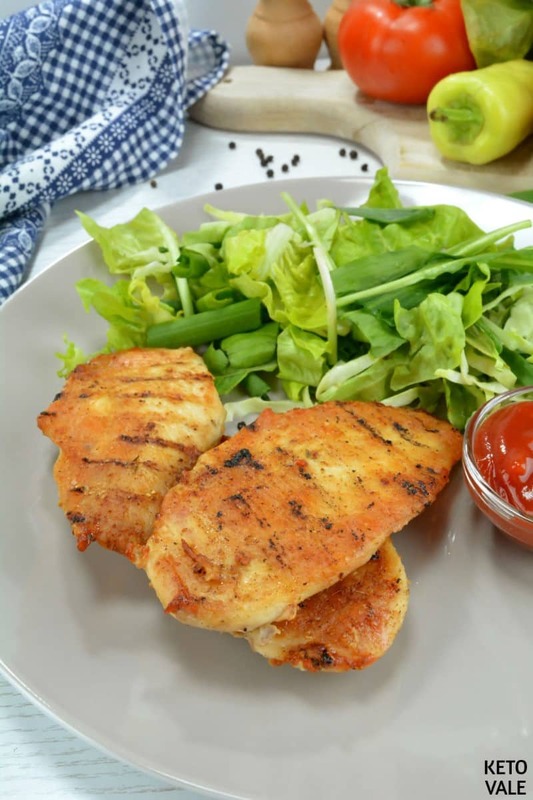 Chicken meat is one of the most popular meat types in the world. 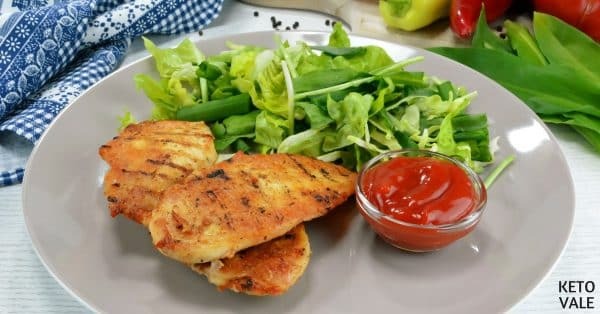 These lightly charred chicken fillets are brushed with oil and lemon juice for the soft and crispy texture you want to get from grilling. This recipe is extremely simple and easy to follow. You can serve them with different fresh vegetables, dips, or yogurt-based toppings. No leftovers with this one! Set the electric grill on high to preheat. Brush 2 tbsp of oil on the grill grates. Wash the chicken under cold running water then dry with a paper towel. Transfer to a cutting board and chop into thin slices, about half an inch thick. Rub some olive oil on both sides of the pieces. Drizzle the lemon juice all over. Make sure to coat entirely. Sprinkle salt and pepper just to taste. Lay the chicken slices in the grill using long tongs. Grill the meat for 4 minutes or up till the side is slightly charred. Turn the chicken over and brush with more oil. Let it grill for another 3-4 minutes. Best served while still warm with your favorite sauce or our suggested tzatziki sauce below. I like to serve my chicken fillets with a little hot tomato dip and fresh vegetables. However, if you have some extra time you might want to try a wonderful tzatziki sauce. The recipe is quite simple and you probably have all the ingredients in the refrigerator. Wash and finely chop the cucumber. Place in a medium-sized bowl. Whisk together Greek yogurt, olive oil, garlic, salt, and mint. Combine with cucumber and refrigerate for 20-30 minutes before serving. Note: This chicken recipe can be grilled, pan-fried, or baked. Preheat an electric grill on high. Grease the grill grates with two tablespoons of oil. Rinse the meat under cold running water and pat dry with a kitchen towel. Place on a clean work surface and slice into half-inch thick slices. Rub each slice first with oil and then with lemon juice. Season with salt and pepper. Using long tongs, place chicken breast on the preheated grill. Grill for 4 minutes, or until lightly charred. Flip and grease with some more oil. Continue to cook for 3-4 minutes. 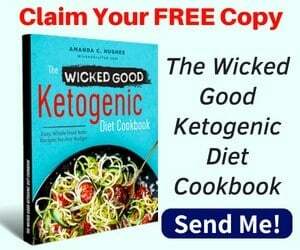 Serve immediately with a low carb salad or leafy greens and your favorite low carb sauce/dip. *To increase fat, you can use chicken thigh or chicken breast with skin on. You can serve with a few avocado slices or fatty sauce such as mayonnaise.